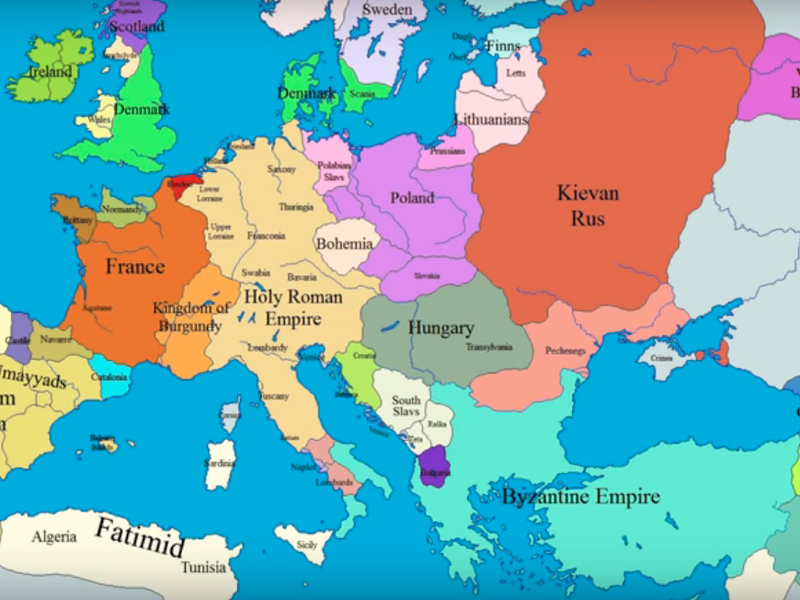 The Youtuber MrOwnerandPwner created this map of Europe going back to the year 3900 BC – it shows tracks changes during the Middle Ages by increments of 50 and then 25 years. EmperorTigerstar offers this video showing the year by year changes to Europe. This map from Cottereau is a little different – as it shows the rulers of European countries, for every year since 400 BC.